Chinese leaders have called a halt to construction work on 30 large coal-fired power plants with a combined capacity of 17GW — greater than the UK’s entire coal fleet. 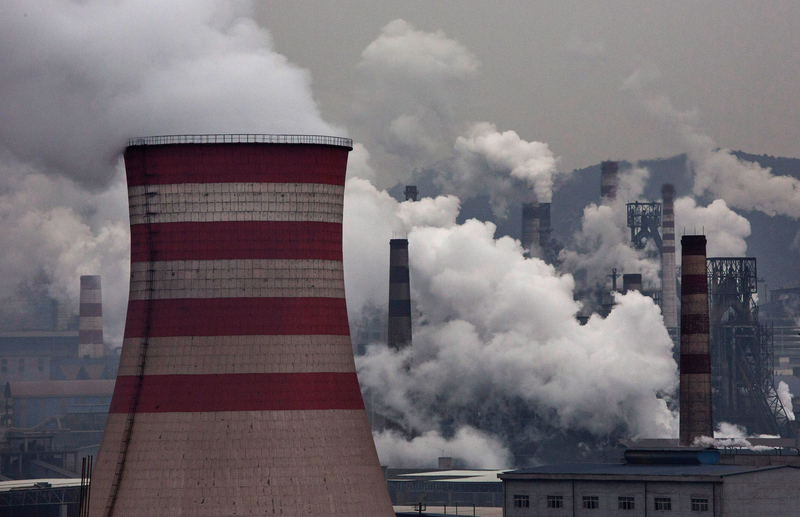 This unprecedented move indicates just how serious the Chinese authorities are about bringing the country’s coal power bubble under control. And those 30 plants aren’t the only ones that are being stopped. The policy also dramatically scales down plans for transmitting coal-fired power from the west of China to the coast through a network of very long-distance transmission lines. Another 30 large coal plant projects, for which transmission lines were already under construction, are being axed. Ten of those plants were already under construction but will now be marooned as they will have no connection to the grid. This means China is stopping work on the equivalent of the combined coal-fired capacity of UK and Spain. Up to now, the Chinese government had avoided interfering in projects that had already been contracted and financed, and where construction had started. The cancellations will be painful, and entail major commercial losses and disputes. But spending money to complete these unneeded coal plants would have been even more wasteful — it would likely have cost well over $20 billion. Greenpeace mapping of affected projects and coal power bases. This comes as new research shows the scale of the challenge facing China and India if they are to rein in their coal power plans, which is crucial if the world is to keep temperature rises within 2C as was agreed in Paris last year. The ‘thermal coal in Asia’ paper from Energy Transition Advisors estimates that, if China were to allow the construction of coal plants planned by Chinese companies it would put the country on course to overshoot its annual carbon ‘budget’ for coal by 2020 — and use up the entire budget by 2036. This assumes that the coal plans are limited to those plants already under construction, and others in the pipeline are shelved. The ‘budget’ has been calculated by the IEA, and represents the top limit of carbon emissions to 2050 if the world is to have a 50% chance of keeping global warming to 2C. China has taken huge steps this year to slow and stop the runaway coal sector, cancelling approximately 100 GW of projects in permitting stage this April. But approval for nearly 6 GW of new coal power earlier this month raised doubts about its ability to completely stop its coal machine. India has been shadowing China’s experience and would use up its entire carbon ‘budget’ by 2036, even if it deployed so-called clean technology to existing plants, according to the report. The country has its own coal bubble, and is building hundreds of coal plants it doesn’t need, though has quietly shelved a plan for 1 billion tonnes of coal per year by 2020. There are 1,020 planned thermal coal plants in China and India – either under construction or permitted or in the early planning stages. More than 500 are already under construction (389 in China), with a capacity of 270 GW. These plants alone would produce 30 Gt of carbon emissions, which is 3% of the remaining “budget” if we are to have a reasonable chance of staying within 2C. If all of these went ahead, they would result in 57 Gt on emissions by 2050, even if they operated at only half capacity. The research also tested a number of different scenarios for China including keeping existing plants with no new construction; going ahead with planned retirements of old plants; and replacing existing plants with new more efficient ones. All the scenarios resulted in its carbon “budget” being used up well before 2050.